A new life to a dreary space is possible with the twist of colors. A boring piece of furniture which never trapped your attention can become tempting instantly. Nothing extraordinary or out of budget I am going to tell you today. You all must have cushions in your home or at least heard about them. These accessories are marvelous in their own way. They are meant to make any ordinary space more cozy, comfy and stylish. Your personal style statement can be executed flawlessly with the help of cushions. Here, I would like to lay emphasis on cushions that are dressed with arresting covers. So, it’s actually cushion covers that make difference in your setting. I am talking about colorful, designer and printed covers which help to complete a design theme. Sometimes, with just these covers a fresh breathing can be given to the space. Just imagine your guests are about to come within an hour. And you are busy in preparing food and making other arrangements. In such situations, with a hint of engrossing covers your living area can be made to glow suddenly. Using them is easy, affordable and quite mess free. There are many online portals where you can get modest size covers in a variety of colors and prints. So, go ahead with your creativity and break the monotony of place with gorgeous shades. Fill the room with inspiring hues to keep the ambiance cheerful and inviting always. For any house party they could be the best investment to offer your guests a welcoming décor. Cotton covers are best as compared to other alternatives as they have better tendency to absorb colors. Thus, the luster cotton cushion covers possess is unbeatable and a must have to make your home simply sensational. 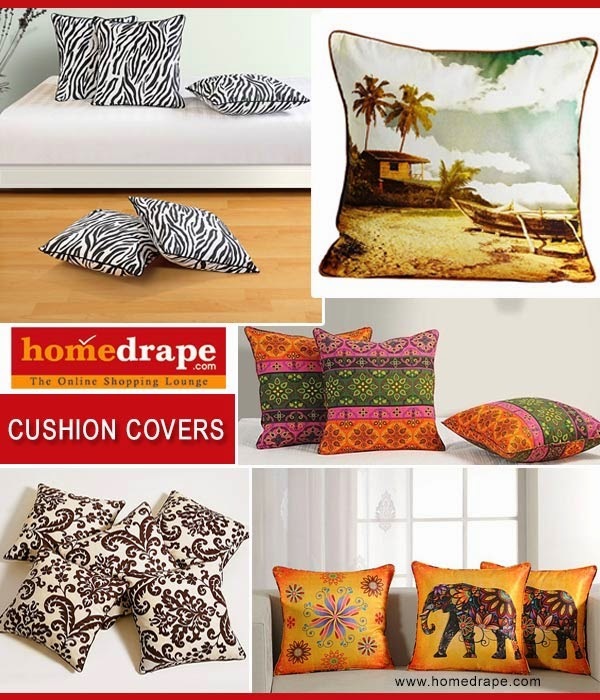 Give a try to experiment with the look of your house with cushion covers and get back to us to share your experience.